Other software titles by Big Angry Dog include Hardwipe, the free data sanitization toolset used by activists, journalists, IT technicians and anyone needing to ensure that discarded, but sensitive, information can never be recovered by someone else. DreamCalc began life in 1996. Learn how it has evolved. 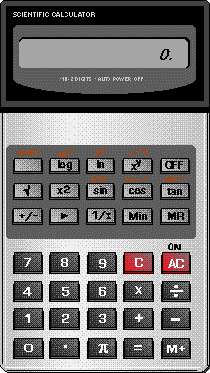 Shown above, "DreamCalc Primeval" on Window 3.1.